Camping Arena Blanca är en camping i Benidorm, Alicante. Denna terrasscamping har platser med stängsel, med skugga, utan skugga och platser med lite skugga. Det finns möjlighet att hyra husbilar, Enrumslägenheter, lägenheter och bungalows. Campingen förfogar över en utomhusbassäng och en inomhusbassäng med skjuttak. Denna inspektör gör varje år ett besök på Camping Arena Blanca och inspekterar campingen för ca 200 faciliteter och för andra förekommande punkter. Inspektören är en medarbetare från ACSI och arbetar inte för campingen. this was our first time on this campsite i hve to say how lovely it is in every way toilet blocks immaculate staff very freindly and attentive i believe it is a family run buisness and it is one of the nicest ones i have been on in benidorm .40 mins walk to seafront but plenty to look at on way,the menu de dia was lovely good choices and hot food the pool is lovely it is covered but i believe it is a roll back one in summer,they have quite a few residens on site but all very freindly they all seem to look out for each other lovely we will definatly be back . For some reason they think your deaf and have for example the pub quiz so loud we could answer the questions in our camper on 92. We had never been to Benidorm & it did what is said on the tin. Campsite is about a 20 min walk in to town but whilst walking in you pass many bars, restaurants & a Dia supermarket. The receptionist when booking in was friendly & helpful. We only stayed 2 nights & he let us go to look at the few pitches he had available first to chose. Our pitch was very level. The facilities were heated & most adequate with great flow of hot water & kept clean. The beaches had golden sand & clear blue sea. I had limited expectations of the campsite & the area ( sorry) but would recommend both. The price was great value. Wifi free with changeable access but we appreciated no charge for this. Lovely campsite, staff were really helpful and friendly. Level gravel pitches which were a nice size fit caravan, awning and car on OK. Lots of seasonal pitches, arrived midweek and there were plenty of pitches to choose from. Stayed 2 weeks here. The main toilet block is very modern but the showers were not great, didn't get very warm. The showers in the older block were much better. Swimming pool was undercover whilst we were there but the roof is opened later in the season. Pool was great nice and warm. Bar on the site is good value for money and the little site shop was cheap and stocked the essentials. Great for walking in to Benidorm, takes approx. 20 mins to walk to the beach along a street with plenty of shops, bars and cafes. Wifi is free and good signal. Plenty of supermarkets in the area, some in walking distance and there is a lidl a short drive away. Visited Terra natura which was a lovely day out. Great site will be returning. We wanted to stay in Benidorm, this was the third of the three CC sites in Benidorm we viewed, we chose not to stop at the others. They had only one pitch available and that was only for 4 days, so we took it. A tight fit for our 8m TA caravan but we got it on the pitch. The electricity is metered which is quite normal here but when the man came to connect us to the electricity I asked him about the water as the connection fitting had been removed. He referred me to the reception, I was advised that if I wanted water connecting it was another 2€ per night! ACSI CC advertises this as fully serviced pitches. I was told to collect water from the toilet block. Far more than the 15m from pitch as the CC suggests. I will agree with other reviewers about the new toilet block. The water was not warm enough to shower, no problem in the old block. Despite the water issue we wished we could have stayed longer, the site is in a very convenient position and we loved Benidorm. A good site with an excellent swimming pool which is hardly used! Small supermarket type shop which stocks the basics with other shopping nearby. Benidorm Levante beach is about a thirty minute walk away. A good site to stay in Benidorm if you are fit enough to walk! However there is a regular, if infrequent bus service close to the site entrance. Very big pitches, good facilities not far from main area of Benidorm as you can use a middle gate with a code. Entrance looks scruffy until you get to reception which may put people off but this is one of the best sites near Benidorm. Vill du boka campingen Camping Arena Blanca eller få mera information? Det går bra med nedanstående uppgifter eller via campingens webbsida. 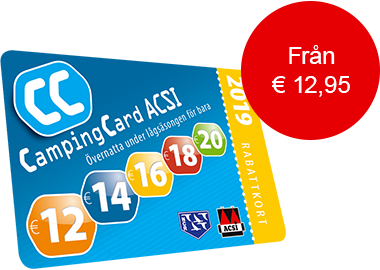 ACSI Eurocampings skickar din informationsförfrågan till "Camping Arena Blanca".